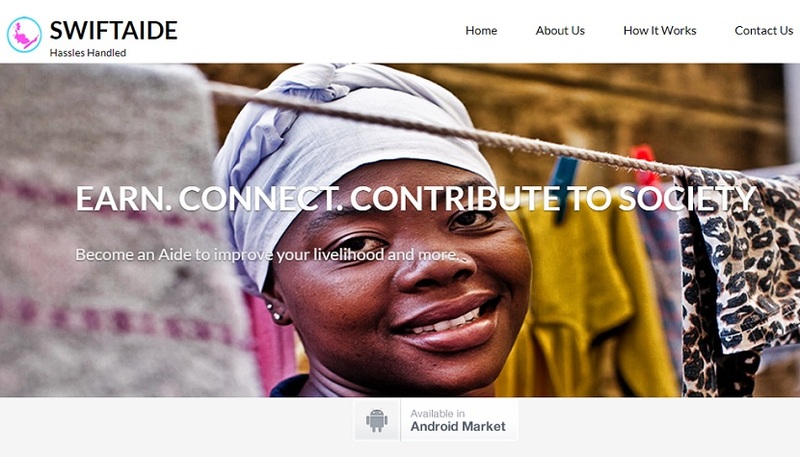 Kenyan startup SwiftAide is allowing consumers to find immediate help with everyday tasks, including cleaning, moving, deliveries and handyman work, via its mobile marketplace. “It’s like an Uber for these and many more services,” co-founder George Karimi told Disrupt Africa. Karimi launched SwiftAide alongside his wife Winnie Njeri in the middle of 2017, after struggling to get hold of their cleaning lady. The startup’s platform is a two-sided marketplace that connects customers with “aides”, a network of pre-approved and background-checked individuals with the time and skills needed to complete listed tasks. “It allows people to outsource small jobs and tasks to others in their locality,” Karimi said. SwiftAide has several categories of aides, including messengers, carpenters, deliveries, plumbers, electricians, mechanics, and nannies. “We are basically tapping into the opportunities that exist in the informal sector, bearing in mind it controls like 70 per cent of the job market in Kenya,” said Karimi. The startup – which receives a commission on every completed job, is self-funded and not looking to raise any capital until it has improved its app’s user experience, but has already seen decent uptake. It currently has around 300 listed aides and 500 clients, with around 100 successful transactions having been made through the app. “Uptake has been quite good as we are getting people signing up from as far as Wajir and Bungoma. Kenyans are quite fast in embracing technology and seizing opportunities,” said Karimi.